We have some very exciting and joyous news to share with you!!! Firstly, thank you, thank you all for your dedicated and ongoing support of Team Harris – your prayers, thoughts, strength, encouragement and support have been truly uplifting and inspirational. You are a circle of love for all of us. Since Erica’s discharge from VGH in-patient care on August 1st, we have spent most of our time exclusively on the homefront enjoying beautiful moments with the boys….with many backyard splash adventures, games of hide and go seek, puzzles, reading, sing alongs etc.. and the simple pleasures Erica loves most of all – being the first smile the boys see each morning and the last to kiss their cheeks as she tucks them in each night. When the boys sleep/nap, Erica has dedicated herself to creating amazing mementos for our boys – making beautiful scrapbooks, photos, writing letters, making CDs , videos and other many other special memories. We have also been busy seeking as many wellness options as possible – from our amazing circle of love that surrounds us, we have been introduced to the world of meditation, visualization and healing hands practitioners. We have become connected with top naturopaths and pharmacists and are following their advice and supplements diligently. We have been blessed with multiple prayer groups/circles and have even been gifted a beautiful wooden hand held cross of Saint Mary MacKillop (who was credited with curing someone’s leukemia) brought to us from Australia. So many of you have done such extensive research on our behalf for treatments and forwarded us pivotal tips that we have pursued…we apologize if we have not responded to you, but all of the insights and suggestions have been put to great use and we feel so fortunate to have accessed so many healing paths because of your assistance. The boys have been incredible. Hudson puts his hands on Erica’s cheeks each night to help heal her and has created a little lego “machine” to help pull the bad weeds (as we have explained the cancer to him) from her body… he massages her back every day and these healing hands are truly miraculous. He said to Erica the other night all on his own “Mama, you have to believe!” Hugh loves to rest with mama – giving her the longest snuggles, humming together so beautifully. Thanks to all of you, the fire within Team Harris to find a cure for Erica and Erica’s unfailing strength, courage, determination, love and faith, she has done much better than the original prognosis given to us on July 31st. Indeed, our doctors at VGH were so pleased with Erica’s weekly blood test results and recovering “counts”, they ordered a bone marrow biopsy to find out what was happening in Erica’s bone marrow. The biopsy was yesterday. We received the results this afternoon. Erica’s July 30th biopsy indicated that there were approximately 25%-30% leukemic (bad) cells in her marrow. To be considered in remission, VGH advised us that patients need to have 5% or less leukemic cells in their marrow. At VGH they will only do a stem cell/bone marrow transplant if a patient is in remission. Today we learned that the biopsy from yesterday shows that Erica now has less than 3% leukemic cell in her marrow. This means she is in FULL REMISSION!! This is the best possible outcome from the biopsy that we all prayed and hoped for. A miracle. That is the explanation. A true, blessed and God-given miracle. In conjunction with our dedicated BMT Coordinator, One Match and all of your support, a 10/10 unrelated stem cell/bone marrow match was found for Erica at the end of July. This donor is now in the process of being “activated”. Another donor’s blood is also being tested as a “back up” and we are hopeful that this donor will also be a match for Erica, if necessary. They are trying to fast track the donor process as much as possible and our doctor is hopeful Erica may be able to start the stem cell/bone marrow transplant process at VGH in October. The transplant process usually takes approximately 3 months in hospital. We have been truly blessed. You are all witness to a spectacular and glorious miracle. Thank you to each and every one of you from the bottom of our hearts. It has been quite a turbulent ride over the last few weeks. Apologies for not being in touch sooner…. As many of you know, Erica was admitted to VGH Leukemia/BMT ward exactly 3 weeks ago today (October 19th) to start her stem cell/bone marrow transplant – in typical determined Erica fashion, she insisted that we climb the 15 flights of stairs on the way to being admitted…always great to start with a bang… she was blessed with an amazing room, with a panoramic view of downtown Vancouver, False Creek, the North Shore Mountains and all the beauty our city has to offer, and, of course, she was blessed with an incredible and dedicated team at VGH by her side. The transplant process starts with three days of chemotherapy (using one of the aggressive salvage chemo drugs), three days of TBI (total body radiation – 2 sessions each day) and then the transplant. We were told going in by Erica’s attending doctor that the entire process after the transplant takes many weeks in hospital, with the fastest discharge being 4 weeks after the transplant – but sometimes it can be 3 months or longer in hospital. Erica persevered well through the chemo, however, she found the twice daily TBI very difficult. Erica had her transplant 2 weeks ago yesterday (on October 25th) soon after her last TBI treatment. The team at VGH calls it your new birthday. The transplant itself (using the donor’s stem cells) was relatively short in duration (under an hour). All progressed well until the very end when she developed a severe acute allergic reaction…close call. Through it all, Erica was truly amazing and tenacious – she fought hard every step of the way, keeping as active as possible, using her stepper and crazy heavy medicine ball whenever she could muster up just enough strength. She did laps around the 15th floor tossing her med ball in the air. She endured the usual nausea, retching and lack of appetite with mucositis and ulcers covering her inner mouth and throat yet she was determined to stay off of the IV feeding that caused many problems to her liver in the summer. This meant she needed to eat and keep what she ate down. We were told that transplant patients rarely avoid the IV feeding due to all of the mutiple side effects of the process (including the post transplant immunosuppressant drugs) that cause the very painful mucositis. Yes, you guessed it, Erica was able to keep down enough nutrients on her own to keep the IV feeding away. My incredible wife. Thanks to the super donor’s super marrow, Erica’s blood counts (white blood cells/hemoglobins/platelets etc.) recovered quickly – as has Erica. Indeed, her condition improved so quickly, we are pleased to share with you that she was officially discharged from VGH this morning (November 9th) on Day +15 post transplant. We were told by VGH team members that this is the fastest discharge they had seen following an unrelated stem cell/bone marrow transplant. All that said, Erica is still very weak, very tired and her immune system is still incredibly vulnerable. In turn, we will be spending a few weeks at a place we secured near VGH as she gets stronger and more stable. She has a busy day care regimen ahead at the VGH outpatient clinic and she is certainly not out of the woods. A long road lies ahead with many potentials bumps as her new marrow takes hold. The entire engraftment process lasts many months – including daily immunosuppressant and multiple other medications. Her lead doctor indicated that it may take up to 9 months before engraftment is fully confirmed. We are taking today’s fabulous news and discharge from hospital as a blessed gift from above. As you know, Erica is happiest in the great outdoors as fresh air means so much to her… she soaked it all in as we left VGH. She had not been outside since she was admited. Today we walked a few blocks, we may try to walk a a few more tomorrow. One day at a time. Together, hand in hand. Our plan is to surprise the boys tomorrow with a short surprise visit – at Hudson’s soccer game. Erica can’t wait to surprise them and hold them tightly in her arms. May God bless each of you and all of your loved ones. Faith, Hope and Love Always. Nicole Palacios is best known in Lynn Valley for her personal training business. 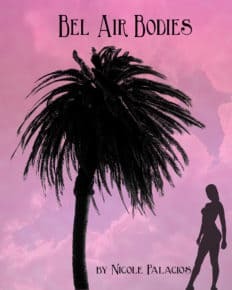 But that may change now that she’s also the author of her novel, Bel Air Bodies, available for sale as an Amazon ebook. We tracked Nicole down to ask her about her writing, her background, and her life here in Lynn Valley. Tell us about your writing background…. has it been hobby, career, or both? My writing career has been something that I didn’t realize I wanted to do until about seven years ago. I started writing fitness-related articles for magazines, then realized my passion for fiction. I always enjoyed writing fiction in my youth, but put it aside to focus on schooling and child rearing. Now it’s back in my radar. I am a North Shore personal trainer; I’ve been involved in the fitness industry since I was 17! I started as a fitness instructor, then got my personal training certification and received my degree in Exercise Science. I train people in their homes/ outside or in my gym facility. I mainly work with females looking to get into shape/lose weight/etc. Since I was six I’ve lived on the North Shore (with a three-year break living in Minnesota of all places!) I have three beautiful girls, and an awesome husband. 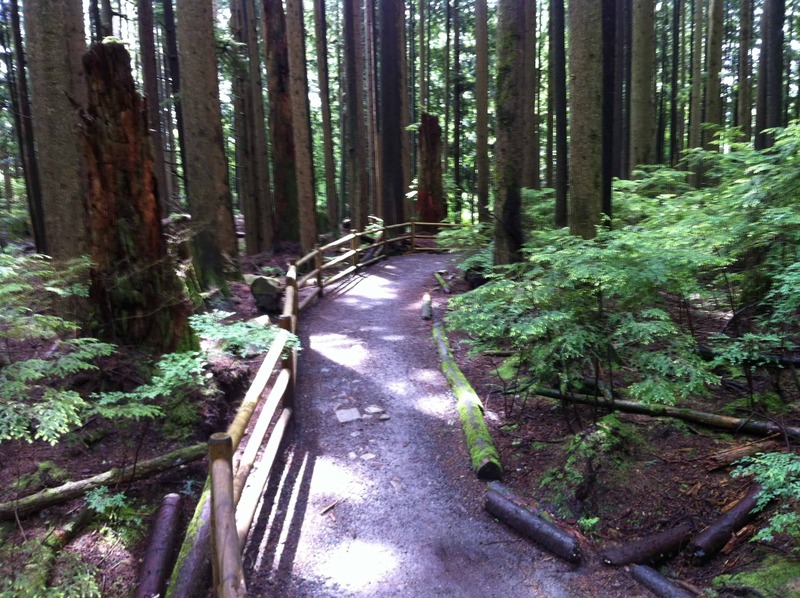 We are totally in love with Lynn Valley where we live! What made you decide on the romance genre when you turned to fiction writing? I wouldn’t classify this as romance per se, more of a “chick lit” novel. There is some element of romance, of course, but that is not the only theme. What fun is it to read a book without a little romance? It keeps things fun and light. What other kinds of writing do you do? It’s very difficult to get published with a mainstream publisher; you really need an agent first. They are hard to please! Amazon made it simple and was very easy to use. What were some of the ‘pros’ and ‘cons’ of self-publishing? I would say all “pro”! It is very easy to do with a computer. Did you have any help, or is this a solo project from start to finish? This was my own personal project. I wanted to finish a book; there are a few others that I have started and left hanging for a few years. What’s your goal for the book? I would love to see it sell one hundred copies; that’s a goal. As well, it would be nice to just to have some people who I don’t know and didn’t tell about it to read it and hopefully enjoy it! What are some of your other writing goals? I am currently working on a non-fiction book on fitness for baby boomers. I hope to publish that the traditional way and have it “in stores”. How will you be promoting Bel Air Bodies? Twitter, Facebook, other blogs, word of mouth. Stick with it! Don’t give up and don’t let negative comments get you down. I am happy to be living on the North Shore and have such a great group of other writers and friends to bounce ideas off of! This community is so warm and welcoming and I really feel blessed to live here! When a pediatric nurse told Shula Klinger that her incessantly wailing baby boy was “going through a rough patch,” she didn’t realize how prophetic those words would prove to be. Months of crying jags, rashes, breathing difficulties and ER trips later, Joel was finally diagnosed with atopic dermatitis (eczema). Finally, she and her husband could start to understand what would and wouldn’t help their child, and would gain him – and themselves – some uninterrupted sleep. A bubble bath at bedtime? Forget it – even a few minutes in the tub would cause a horrible itchy reaction. But organic home cleaners, and plain, non-appliqued baby clothes? Those would help. Shula will be pulling in international guest bloggers, medical experts, and parents of fellow sufferers in the posts to come, and the blog itself is being profiled in an upcoming newsletter of The Eczema Society of Canada. Shula is a well-published writer already; after coming to Canada to pursue a PhD in Education at UBC and later developing online curriculum for the BC school system, she turned her focus to her creative life. 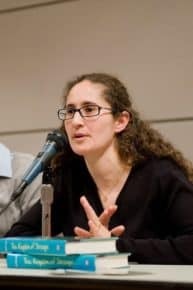 Her young adult novel, “The Kingdom of Strange,” was published in 2008 and she has also illustrated “Best Friends Forever: A World War II Scrapbook.” She continues to work in print and radio journalism, most often for the CBC. Shula, her husband Graham, son Benjamin (age five), Joel (now 20 months) and their “eccentric dachshund, Moby” moved to Lynn Valley last October, where she says they all feel very much at home, despite ongoing home renovations. Shula says her neighbours are wonderfully relaxed and welcoming (Ed. note: They no doubt appreciate Shula, as well – she is apparently a prolific baker!) Other favourite pastimes include visiting the library and taking Benjamin and Joel to the local parks. Check out A Rough Patch to learn more about this family’s experience with eczema; to learn more about Shula’s writing life, visit her website. Shula invites people with questions and comments to post them on A Rough Patch – she’s happy to be a sounding board! 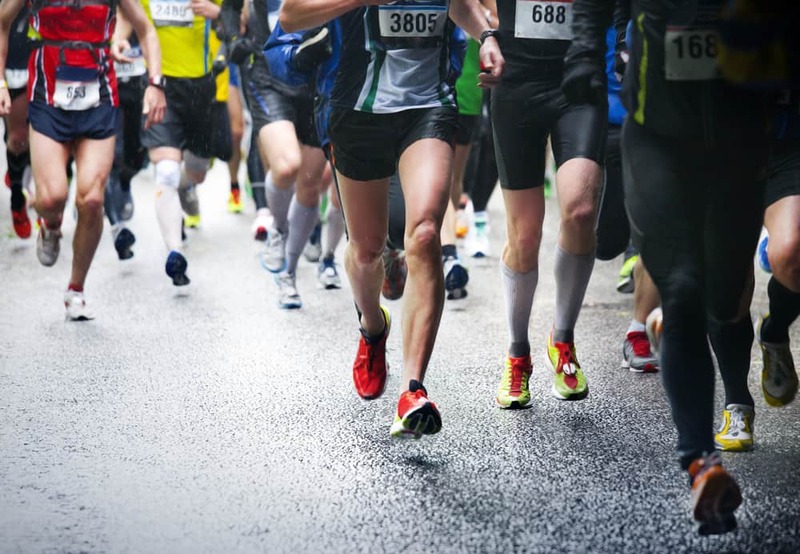 Some of the world’s top ultra-marathoners will be participating in this Saturday’s infamous Knee Knacker, a 30-mile run from Horseshoe Bay to Deep Cove along the Baden Powell trail, and Hilary Ewart is excited to be amongst them. It’s the second Knee Knacker for this Lynn Valley mom, and though she doesn’t consider herself a natural runner – “I’m not built for it, “ she claims – she says there is a mutual feeling of equality and respect at the starting line, regardless of ability. It’s hard to imagine anyone questioning Hilary’s credentials when you look at her running CV. While she says she wasn’t particularly sporty as a youth (“Honestly, if I can do this, anyone can”), once she started running, there was no holding her back. She started as a recreational jogger, then decided to join her husband Ian as he trained for a half-marathon. That was semi-successful – she liked to chat the whole way, which drove him nuts – but it was the start of a pursuit that would end up changing her life and how she lives it. Her determination (or, in her own words, her “obsession”) kept pushing her to longer and more far-flung running adventures, encouraged on by the friendships she developed with other women keen to travel to races. One of her favourite memories is accomplishing her very first marathon in her native Scotland, with her parents there to cheer her on. She still gets goosebumps recounting the pride with which her father congratulated her after her triumphant finish. But this is clearly a woman who likes a challenge. In August 2010, she decided the 15 months ahead would include the Dirty Duo race in Lynn Canyon, the Diez Vista in Burnaby, her first Knee Knacker, and, to top it all off, a three-day, 85-mile run in Wales. While she was admittedly burnt out by the end of that time, she says the Welsh race was one of her best. People are always searching for that “runner’s high,” she says, although it tends to be elusive. It’s more common to encounter the lows when you’re running a tough course. Hilary’s health routine includes twice-weekly yoga, pre-race massages at Canopy Health, and keeping well fuelled during a run. She finds that her ‘away’ races can be easier, in that she’s divorced from her daily responsibilities and can be “a bit selfish,” focussing just on her challenge ahead. She has spent this week getting over her jet lag from a trip to South America with husband Ian, catching up on her human resources job at the College of Physicians and Surgeons of B.C., and dealing with a few butterflies as she contemplates Saturday’s Knee Knacker – one of the toughest trail runs in North America. She’s done it before, but not in the heat that is forecast for Saturday. Between Horseshoe Bay and Deep Cove, she’ll face 16,000 feet of vertical climb and descent, and hopes to complete the course in somewhere between seven to nine hours. “I’m a back of the packer,” she chuckles, saying she is built for endurance, not for speed. Anyone who tackles this run is an elite athlete in our book, regardless of their final time, and at LynnValleyLife we wish all 200 runners good health and good spirits. We’ll be reporting back with Hilary’s experience, and tell you all about her next adventure – a six-day stage race in the Himalayas this fall! Update: We checked in with Hilary on Sunday afternoon, and were delighted to hear she completed the race despite the heat and the record number of runners who dropped out along the way. Our congratulations to anyone brave enough to cross the starting line, and all those determined enough to reach the finish line! UPDATE! Come out to the Friday Night Concert in Lynn Valley Village on July 6 and register with Canadian Blood Services on the spot to see if you are a potential donor for Erica or another person in need. Read on to hear Erica’s story. Now that the sun is shining, most parents and kids are thinking about beach days, play dates, and picnics in the park. 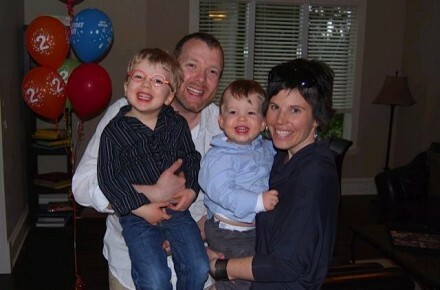 Unfortunately, one Lynn Valley family’s summer dreams have been cut short in a manner as tragic as it was unexpected. Erica Harris is a wife, a mom to two young sons, and a chiropractor who has spent time working at Canopy Health in Lynn Valley Village. She has owned her own clinic and built her career helping professional and amateur athletes reach their peak. But on June 6 she received word that her own health is facing a severe challenge. On that day she learned she has acute myelogenous leukemia, and was immediately admitted to hospital. Two days later she started a week-long course of chemotherapy intended to wipe out the cancerous cells in her bone marrow. It was not successful. In fact, the percentage of leukemic cells in her blood was even higher than before. Doctors now know that Erica is in a high-risk category that requires an even harsher round of chemo to wipe out all the cells in her marrow, good and bad alike (she is just finishing up these treatments in the next day or two). This sets the stage for a bone marrow transplant to follow, which will provide her with ‘seed’ cells to regrow the marrow she needs to produce healthy blood cells. But there’s a problem. So far a suitable match has not been found for Erica, and her need is urgent and time-limited. That’s why her friends, family and colleagues are doing all they can to spread the word to encourage people to do the simple steps necessary to see if they are a potential match. This involves a simple cheek swab (you can do it all by mail, or to save precious time, in person at a Canadian Blood Services centre). If a match is found, the vast majority of donations are made via a minimally invasive procedure involving blood collection; occasionally a more involved collection of marrow from the iliac crest is done under local or general anesthetic. Of course, there are more people than Erica in need of these life-saving treatments, and her family hopes that others will benefit from the kindness of donors who may not be a direct match for Erica. But Erica’s ‘good’ cells need a helping hand, and that’s what neighbours are for. So please learn more about the donation process and how you can get involved. And please spread the word on your own Facebook pages and amongst your email lists. We’ll be sure to update you with any other opportunities to give this Lynn Valley family a hand. In the meantime, please continue to keep Erica, Harley and their boys in your thoughts. FROM THE EDITOR: If you’ve attended a Lynn Valley community event any time in the past two decades, chances are you’ve crossed paths with a Lion – a certain Lynn Valley Lion, that is. Bob Rasmus is known to many as the former owner of RJR Contruction Management, a company he and his wife Peggy ran for many years before his retirement in 2010. But he’s probably met even more people through his role in the Lynn Valley Lions, the community service club he joined in 1990. It all started when he built a house for a client over in Vancouver. When Bob presented his bill, the client told him “I’ll pay it as long as you join the Lions Club.” Bob took up the challenge, and – having moved to Lynn Valley in 1976 – joined the club in our neighbourhood. 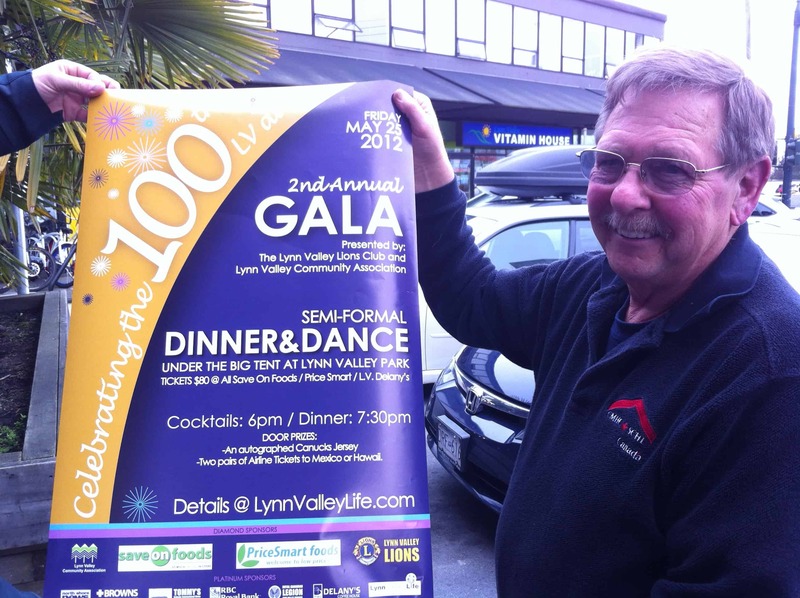 Bob’s history of volunteering pre-dates his Lynn Valley Lions days; father of two, he was a baseball coach and Scoutmaster, and a participant in the YMCA’s “Indian Princess” program for fathers and daughters. It was a circuitous path that brought Bob to our neighbourhood; born in Portage La Prairie, he left there for Mission when he was two, then moved to Vancouver in 1966 and to Lynn Valley a decade later, where he lives on Alderlynn Road. Since arriving, Bob and his fellow club members have done a great deal to improve our community. We can only imagine he’d love to issue the same challenge to our male readers as he received all those years ago – “Join the Lions Club!” Even without the motivation of an outstanding invoice (! ), we hope you consider taking him up on it. From Lynn O’Malley: There aren’t many of us who can claim our lives have had the same immediate impact as that of a little boy named Finn. Finn Sullivan was a Lynn Valley lad – brother to Sarah and Baird, son of Patrick and Samantha – who was diagnosed with cancer at 21 months and succumbed to his illness when he was three years old. We can all imagine the hole he left behind. But – holy smoke! – that sure wasn’t the end of his story. That was the beginning of “Team Finn’s” determination to honour his life by raising funds to help alleviate the suffering of other families experiencing pediatric cancers, and ultimately to help fund a cure. 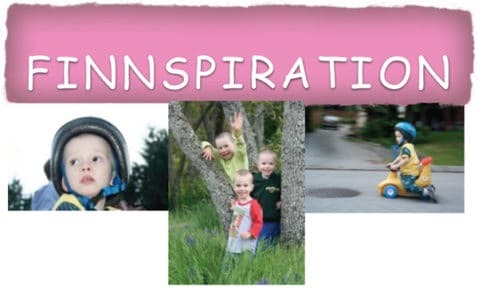 Since his passing in October 2008, Team Finn has raised over $1,000,000 for the B.C. Cancer Foundation. Yes, you read those zeros right – that’s one million dollars, raised via ongoing charitable adventures such as the Enbridge Ride to Conquer Cancer and the Children’s Hospital’s ChildRun. A Team Finn Wine Tasting Festival at Seymour’s Pub takes place on Wednesday, April 4 from 6 to 9 p.m., where you can enjoy 19 different wins, great appies and a super silent auction. The $35 tickets must be purchased in advance, and all details are on this poster. On Saturday, April 7, Escape Adventures will host a Team Finn Family Day and take families for a cycle tour of the Seymour Demonstration Forest. The $25 fee covers a family of four for the 90-minute expedition. Registration details are here. 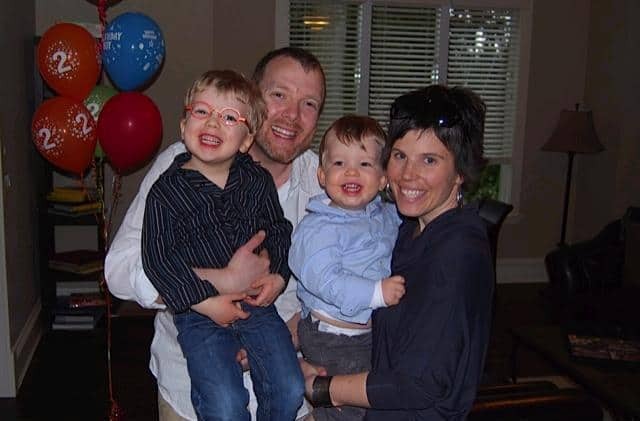 “We have been incredibly fortunate to have the support of our Lynn Valley community and think these events are a wonderful opportunity to continue to support Team Finn,” says his mom, Samantha Mason. Well, we at LynnValleyLife think our community is pretty lucky to be home to special families like this one. We look forward to hearing more about the amazing achievements of Team Finn and its many supporters. For more information, visit www.teamfinn.com. Lynn Valley artist Ishrat Khan has experienced a rich life, including immigrating to Canada from his native India in 1965. Yet another highlight will be the exhibition of his work in the District Foyer of North Vancouver District Hall, beginning with a reception on April 4 and continuing through to May 29. We wanted to learn more about this artistic Lynn Valley resident, so asked Ishrat a few questions about his craft, and his life since moving to this community in 1996. How would describe the type of art you create? What’s your ‘artistic journey’ been to date? Have you always painted, or have you worked in different genres? It’s been great to be able to express feelings through painting; I have been painting since my high school years. It’s a wonderful pastime; it’s very fulfilling and keeps me out of trouble. Do you work alone, or take part in some sort of artists’ community? As far as painting goes, I have always worked alone, except for shows where I have displayed works with others. What inspires you to create works of art? Inspiration comes from people, surroundings in Canada and through my travels in Asia. Vancouver’s West End and Stanley Park have always inspired me to paint. Can you tell us about one or two of your favourite pieces? The Kayakers, Mountain Highway, Brick Crushers Bangladesh. Mostly tennis – I play on the Boulevard and at the Grant Connell Tennis Center in North Van, and at the Stanley Park Tennis Courts. Can you tell us a bit about your ‘day job’? How can people see or learn more about your work? Jenny Mitchell is a Lynn Valley mom like many others – she loves heading out on the trails, hitting the library, and socializing at Browns. 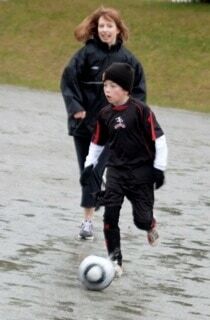 Her kids, Dylan and Evan, go to Lynn Valley Elementary and play baseball and soccer. Not many local moms, however, get to play a maternal alter-ego on stage. 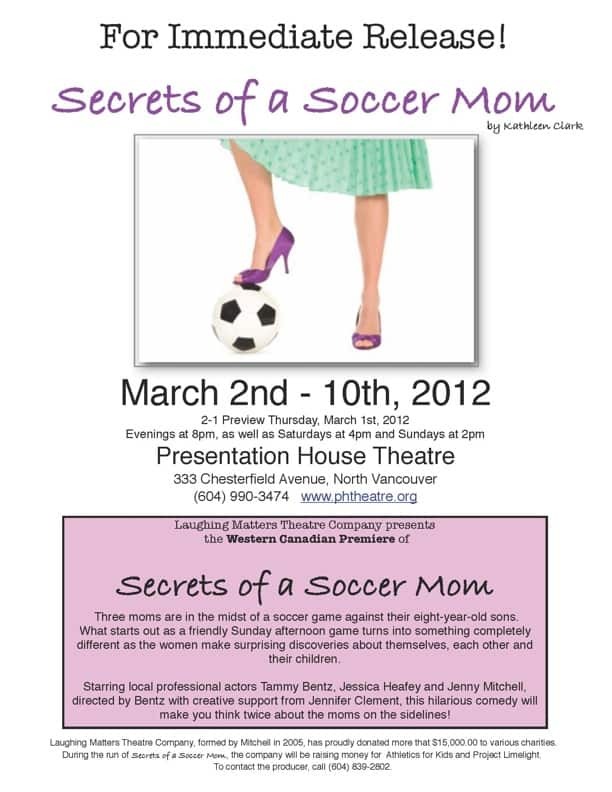 But that’s what Jenny will be doing when the show Secrets of a Soccer Mom opens at Presentation House on Friday night. Jenny plays Lynn, one of three moms taking part in an informal soccer match against their eight-year-old sons. What starts out as a friendly game, though, becomes something else entirely as the afternoon progresses and the moms make surprising discoveries about themselves, their children and each other. Perhaps there are some moms in Lynn Valley who can relate?! Either way, the play sounds like it’s filled with laughs and good conversation-starters. It runs from March 1 to 10, so get your tix now! Fortunately for LynnValleyLife readers, we have two to give away. Just tell us one more arts event you’ve enjoyed right here in Lynn Valley – at a school, in the village square, or ?? – and we’ll put your name in a random draw. Winner will be announced Wednesday evening, so get your entry in now, either via our Facebook post or by emailing info@LynnValleyLife.com. Deadline: Wednesday, Feb. 29th at 5 p.m.
COMING TO YOU FROM LYNN O’MALLEY: Greetings, neighbours! I was really looking forward to telling you the story of how a generous donation from the Lee family (owners of the Mountain Market corner store at Mountain Highway and Frederick) resulted in a domino effect that benefitted people not just in Lynn Valley, but from Metro Vancouver and beyond. Unfortunately for me, I couldn’t improve upon the following account, written by a Lynn Valley Elementary School dad, who relates how the Lees’ donation of hundreds of prime DVDs snowballed into something his family could never have imagined. So I’ll let him tell the tale (he remains anonymous by request), and when he’s finished I’ll let you know how you can play a part in creating this happy ending. It all started with a group of very passionate nurses who banded together and created a Facebook page “Donate your DVD’s to VGH please!” to help replace the Burn Unit’s DVD collection that was stolen! Yes, that’s right…stolen! Just think: other than the entertainment value that movies provide for most people, for some of the patients on this unit, it’s ALL the entertainment they get. Well, it just so happened that I knew of two boxes of DVDs that were looking for a home. The two boxes were left over after Lynn Valley Elementary School’s thrift shop fundraiser, whereby all of the families donate “lightly used” goods so that the students can purchase items at thrift shop prices. The presents are then wrapped, on site, in order for them to give something to their parents or siblings during the holiday season. The Lynn Valley PAC uses the proceeds to help with the ever-increasing amount of wonderful programs and initiatives they undertake throughout the school year. The kids love it, and there are many volunteers and donors that make it a success. We all love good news stories (in movies, yes, but especially in real life! ), and we all love the chance to play a role in them. So if you would like to contribute to making life just a little more entertaining in the Burn Unit, please have a look in your collection to see if you have DVDs that could use a new home. The fine folk at Mollie Nye House (940 Lynn Valley Rd.) have agreed to act as a drop-off point for the DVDs, and will be accepting your donations from 10 a.m. to 4 p.m. weekdays until the end of March. Our anonymous dad, above, will be delighted to take them to VGH for us. PLEASE make sure that your contribution is in perfect playing condition – nothing worse that having your viewing interrupted by scratches and glitches! Thanks to everyone at Lynn Valley Elementary who got this ball rolling, and thanks to all you Lynn Valleyites in advance who will keep it going strong!